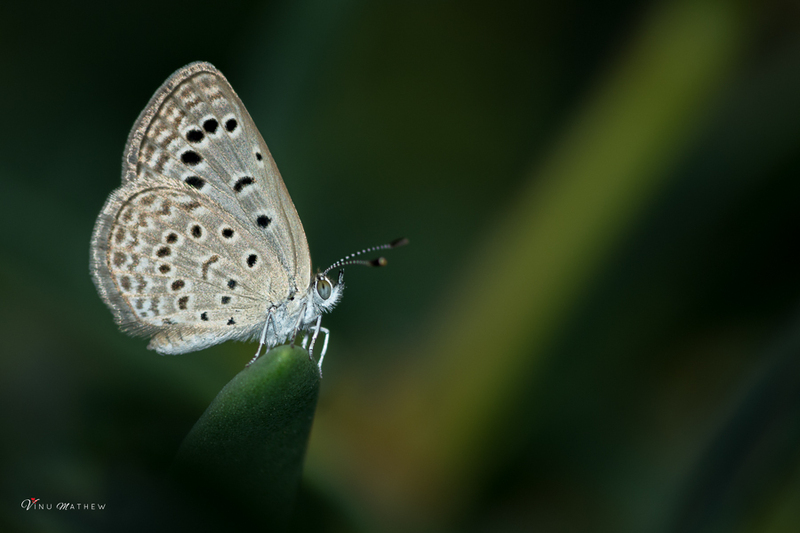 Vinu Mathew took a few macro photographs of some Dark Grass Blue Zizeeria karsandra in Dhahran recently. Dark Grass Blue is a small butterfly found in the Southern Mediterranean, in a broad band to India, Sri Lanka, the Andaman and Nicobar Islands, Burma, Thailand, Malaysia, Indonesia, the Philippines, New Guinea and northern and eastern Australia. It belongs to the Lycaenids or Blues family. As the common name suggests, this species is found in open grassy habitats but can occur anywhere where grasses occur. I thank Vinu for sending me the details and for giving mr permission to use them on my website.